Happy Halloween Die Cut Bag 2.5 mil. orange plastic bag with fold-over die cut handles and bottom gusset. 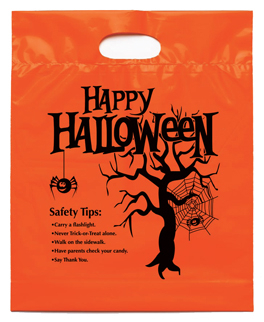 Stock designs feature educational safety tips.Add your custom imprint to the opposite side of the bag.